Remi Birch – already impressing at Khalsa. Sporting Khalsa would like to welcome goalkeeper Matt Sargeant to the Aspray Arena after signing on this week. Sarge will be familiar to followers of non-league football in the West Midlands having turned out for Alvechurch, Halesowen, Romulus and Worcester City, amongst others. Famously, he was the goalkeeper who helped Tipton Town to the first round of the FA Cup in 2011. He joins to provide competition for the goalkeeper’s jersey. Also, a formal welcome to Remi Birch who has signed from Rugby Town. 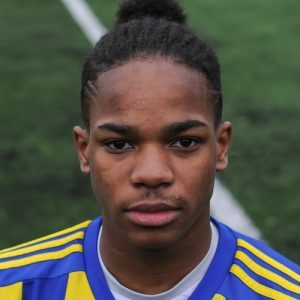 The young midfielder and defender has already appeared twice for Khalsa and made his first start in last night’s 2-0 win over Lichfield City in the JW Hunt Cup. Finally, it’s important to acknowledge the departure of Alex Melbourne who returns to Hednesford for a fourth spell. Mella was an important part of the early season success, making the left-back position his own before his injury.